The bête noir of the modern world has suddenly taken on a new and more hateful persona with sometimes misinformed media and public venting their spleen on what they see as a deliberate and recklessly unsustainable way of life, much of it aimed at the packaging manufacturers/suppliers. How does MACPAC feel about all the bad press which is omnipresent in our media? Well, we feel that we should shout about our integrity! As an industry we are subject to very strict regulation with regards to the supply of food grade packaging whilst monitoring our waste streams and energy consumption. We currently use materials which are, not only 100% recyclable, but are also made from over 80% recycled materials. In a lot of cases the reason that we don’t use 100% recycled materials is due to a requirement to satisfy food grade standards of cleanliness and hygiene. However, for a large number of non-food products we actually use 100% recycled raw material. As with all processes thermoforming generates a certain degree of waste, however 100% of this waste is granulated and returned to our suppliers for reprocessing allowing us to reuse this material again and again. Our energy usage is closely monitored, not just for environmental reasons but also for obvious commercial reasons. The more energy we waste, the more our costs increase, the less competitive we become. To permit us to stay competitive we have invested in the latest machinery with the latest efficiencies allowing our prices to be as low as possible. It is clear that the market will therefore dictate that energy efficient businesses will survive in the long term. UK businesses or producers who introduce packaging into the UK are required, under The Producer Responsibility Obligations, (Packaging Waste), Regulations 2007 and subsequent amendments 2010, to share the responsibilities for the reprocessing packaging waste costs based on their position within the supply chain. Macpac Ltd adheres to The Producer Responsibility Obligations, (Packaging Waste), Regulations 2007 and subsequent amendments 2010 as a convertor of plastic films. 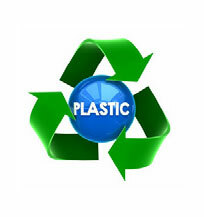 Who benefits from use of plastics which are sold containing this logo? This is the crux of the argument. This logo is only ever seen on lidding films and the supermarkets will argue that it is necessary to extend shelf life, to reduce food waste and to prevent contamination. They will argue that, rather than creating food waste, packaging actually reduces waste by protecting the product in transit and on the shelf. Lidding film substrates can quadruple the shelf life of fresh products significantly, however, these substrates almost always come with the above logo and, when opened, the film residue sticks to the 100% recyclable tray and contaminates it for further recycling. Why not use flow wrap which permits full plastics segregation! Good design is an integral part of packaging if it is to be successful, at MACPAC we proudly claim that the products we make can be 100% recycled and can be designed not to require adhesive seals or labels which contaminate the plastic. We can design products which don’t need to be a nightmare to open whilst maintaining a high level of security and being 100% recyclable. This is what we believe tobe responsible manufacturing. The supermarkets and the majors will also claim that maximum security is required to stop the product being pilfered. So does a high level of packaging around a product make the manufacturer the villain? If it wasn’t needed the first thing that would happen is that costs would be reduced and plastics usage would be reduced. What about over packaging? Who drives the market for over packaging? If consumers see an Easter egg in a brown paper bag or a nicely designed pack, which one will they choose? This question can be applied to a million different products across every market imaginable. In every case the answer to the question is clear and this perfectly illustrates how the consumer – producer partnership is crucial if things are going to change and we all need to be educated about responsible usage. There has been a lot of talk in the press about biodegradable plastics. This is a great catchword but if you look a little deeper you will see that there are major drawbacks to the promises that are made. Biodegradable plastics, which promote single use, can only be composted in an industrial environment and will not degrade in landfill. 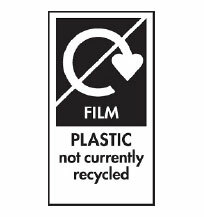 A lot of plastics labelled biodegradable, like shopping bags, will only break down in temperatures in excess of 50C with UV Light in industrial compostable environments. None of these conditions are present in the oceans or landfill or on the street corner. It makes no sense whatsoever to invest in industrial processes to compost biodegradable plastics when it is more resource efficient to invest in recycling conventional plastics for reuse. So why shout about our integrity? The criticisms that are currently rife appear to be aimed at the very sector that is a major protagonist in spearheading zero waste and zero landfill. Yet, we manufacture in a socially responsible manner adhering to all the latest government legislation while keeping ourselves at the forefront of thermoforming through better design, efficient usage of materials and energy resources. The debate therefore in our country needs to mature to question the integrity of the persons who throw plastic into the sea or on the street corner or simply don’t bother to recycle. People must be educated to understand the importance of recycling. Plastics have an important role to play in our society which cannot easily be changed so it is up to us all to educate and be educated about responsible usage. 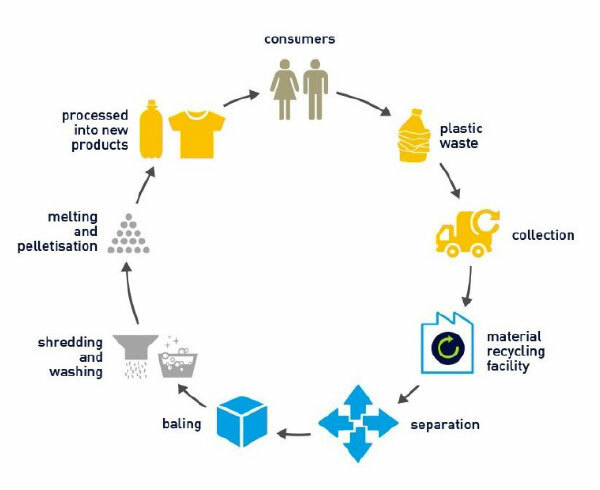 In theory plastic packaging has the capability to be a ‘cradle-to-cradle’ product, a product that can be recycled or reused with no loss of quality. Macpac doesn’t need to wait 25 years! At Macpac we already adhere to the above ambitious plans and have done so for many years. So come on, let’s all play by the rules, we only have one world to share and we must all respect it.